We are an all-female company serving Augusta, Georgia and surrounding areas. Augusta Boudoir is more than photography; it's a mission. Our goal is to help women rediscover and reclaim their beauty so they can see themselves in a totally new way. Our clients want to look & feel like they stepped out of a magazine, but privacy and confidentiality are a top priority. Our clients are typically women who are business owners or have a high profile career and require confidentiality. Our clients are also brides, wives and moms who just want to give their spouse/groom a really unique gift for a special occasion. If that describes you, then you are in for a surprise because the ABSOLUTE BEST PART is that you will gain more from your photo shoot than you could ever imagine. 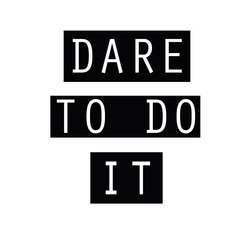 DARE TO DO IT is Augusta Boudoir's invitation to put yourself first for a change, and it is also our invitation to get a little out of your comfort zone and add some "umph" to your life. As women and moms, we tend to put everyone else's needs before our own. Even things like sitting down to eat a warm meal and taking a long hot shower often feels like a luxury. So we dare you to do something awesome for yourself.